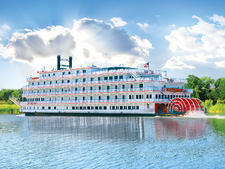 The first in American Cruise Lines' "modern riverboat series," American Song aims to put a contemporary spin on traditional river cruising. 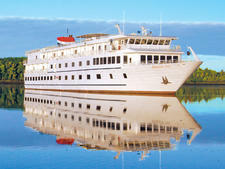 With its centerpiece four-story glass atrium, glass-walled observation lounge, and private, furnished balconies with every cabin, the vessel is designed to bring the outside in. 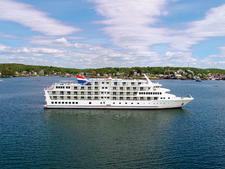 American Song is the tenth in the U.S.-based cruise line's fleet, which also includes four paddlewheelers and five coastal cruise ships. 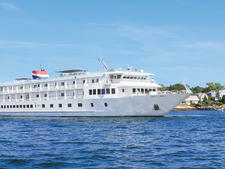 ACL prides itself on the spaciousness of its staterooms, and American Song continues that tradition. Even the 10 single cabins measure 250 square feet. Two Grand Suites boast a whopping 900 square feet and come with wraparound balconies roomy enough to host cocktail parties or dinners. Six additional cabin categories range from 304 to 445 square feet. 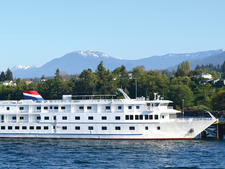 Seven cabins accommodate three passengers. There's one wheelchair-accessible room and some connecting cabins. 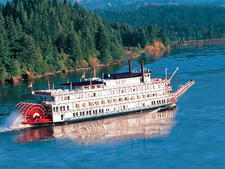 All cabins are equipped with satellite TV and DVD players. Wi-Fi is free. 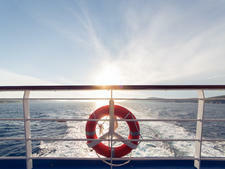 The ship's sun deck sports a putting green, plus bocce and croquet areas. There's a small interior gym and outdoor exercise space. A complimentary self-service laundry is also available. All meals are served in the open-seating dining room, though room service is available for breakfast. Complimentary drinks and hors d'oeuvres are served at the daily cocktail hour. Wine, beer and soft drinks are free at meals. Round-the-clock snacks are set out in the ship's main lounges. 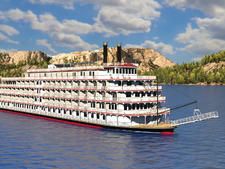 American Song will also have a cafe onboard called the Crow's Nest Cafe that will serve ligher fare. 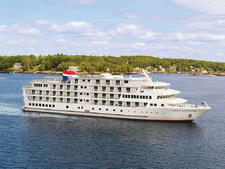 American Song's maiden voyage is set for October 6 from New Orleans. 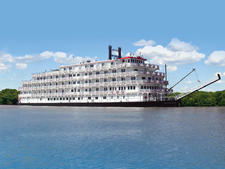 It'll sail the Lower Mississippi into December before heading west for Columbia and Snake River itineraries in 2019.